Expand and collapse tiles to view more or less information. Show off the true power of WPF in your apps with this highly visual and interactive control. 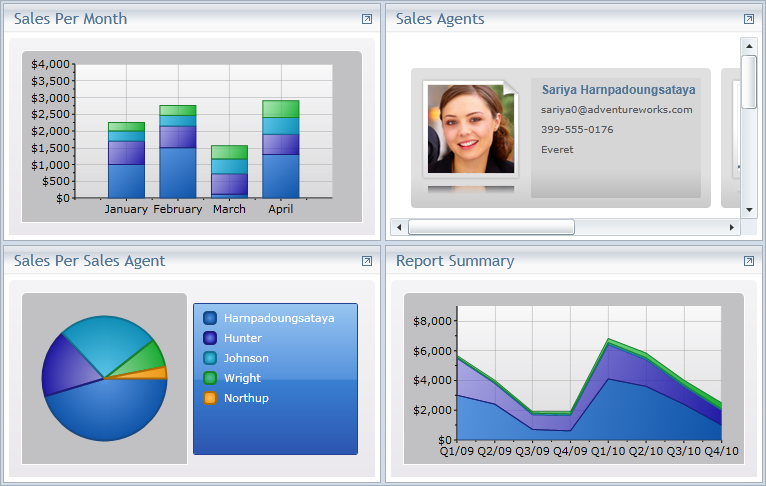 Create dashboards, detail views, photo galleries, and more! ComponentOne TileView provides complete control over the state of each tile. Tiles can be expanded (maximized) or collapsed (minimized). Display more or less information depending on the state of each tile. Minimize items to the top, left, bottom, or right side of TileView by setting one property. You can also specify the number of rows and columns visible in the default state. 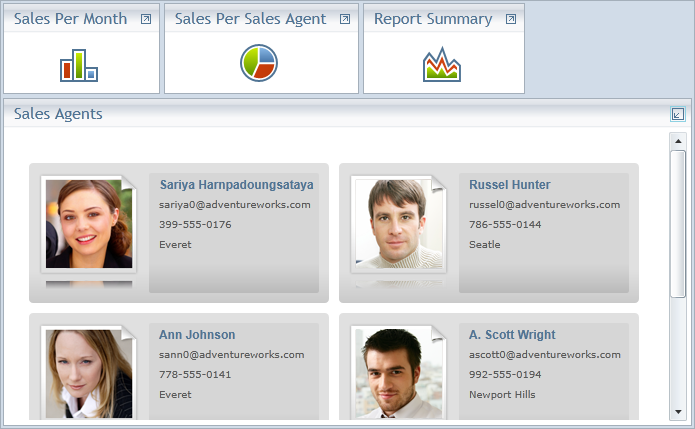 TileView is an items control that you can bind to any collection of business objects. Design different data templates to determine the amount of data viewable in each state. TileView has UI virtualization support, so it can load hundreds of items instantly. End users can drag-and-drop tiles to rearrange their order when the tiles are in the default state. TileView provides built-in animation effects when expanding and collapsing tiles.